The Journey of Love with Gourmet, Wines & Fun Entertainments! Do you still remember the moment you two first met following by more sweet dates and eventually falling in love? 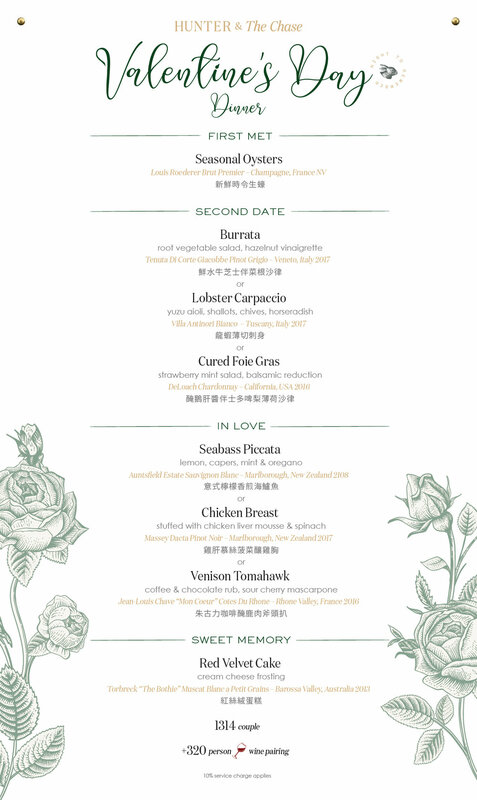 We are going to convert your unique memory and experience to a gourmet journey created by Executive Chef Felipe Lopez; together with several themes of photo corners for capturing fun intimate memory with your beloved on Valentine’s Day. Thank you for your booking. We will contact you and confirm your reservation in person as soon as possible. We do look forward to seeing you soon!